Golic & Wingo Donate 500 Gifts to Toys for Tots - ESPN Press Room U.S.
Today, Dec. 21, Mike Golic and Trey Wingo, hosts of Golic & Wingo which airs weekday mornings from 6 – 10 a.m. ET on ESPN Radio, announced their donation of 500 gifts to Toys for Tots on behalf of ESPN Radio. The studio was filled with 500 toys and four members of the Marines were on-set to accept the donations. Golic and Wingo helped the Marines and volunteers load up the truck with all of the toys to bring to the Toys for Tots warehouse. The donation is an addition to Team ESPN’s contribution of 1,000 gifts to Toys for Tots. ESPN Audio is comprised of ESPN Radio – the nation’s largest sports radio network and home of half of all sports listenership – ESPN Deportes Radio, ESPNRadio.com, ESPN Local and ESPN Podcasts. ESPN Radio, which launched January 1, 1992, provides more than 9,000 hours of talk and event content annually, reaching more than 32 million listeners per week on more than 600 stations – including more than 375 full-time affiliates and clearance in the top 25 markets. ESPN owns and operates local stations in New York, Los Angeles, and Chicago. ESPN Radio national programming is also available on SiriusXM and via digital distributors Apple Music, iHeartRadio and TuneIn. 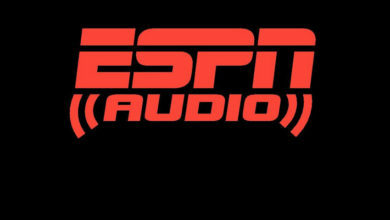 ESPN Audio launched its first podcast in 2005. As of November 2018, ESPN Podcasts have over 344.9 million downloads for the year, more than 2017’s total and an increase through October of 55%. October 2018 saw a record 43.6 million IAB compliant downloads marking the second straight month and third time in 2018 when ESPN Podcasts set a download record. Belen Michelis is a senior publicist focusing on ESPN Corporate Citizenship, Spelling Bee, Invictus Games, Warrior Games, ESPN local radio (98.7FM NY, ESPNLA 710, ESPN Chicago 1000), Misc. Sports and the WNBA. Prior to joining the ESPN Communications team, Michelis worked in Ad Sales for ESPN Deportes and International from 2010-2014. Michelis graduated from Boston College in 2010.